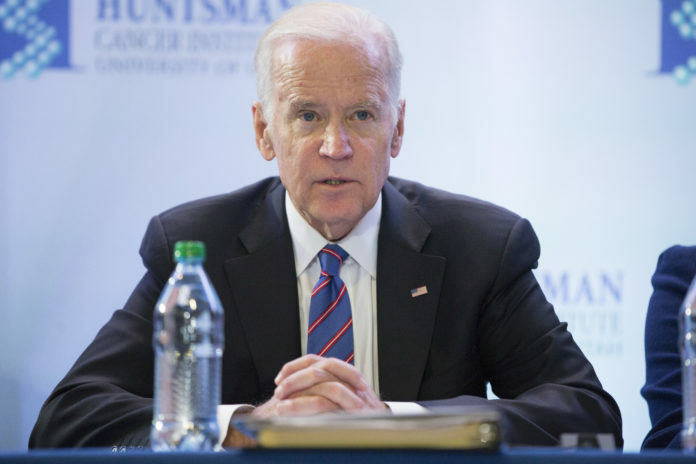 On Monday, the University of Utah announced that the My U Signature Experience Project (MUSE) initiative will be sponsoring a campus event with a keynote address from former Vice President Joe Biden on Dec. 13, starting at noon. Biden will be arriving to discuss his 2017 New York Times No. 1 Bestseller, “Promise Me, Dad.” The memoir details the final year of his son Beau’s battle with brain cancer that took his life in 2015. Biden last visited the university in February 2016 as part of a White House initiative on cancer research. Several members of the Huntsman Cancer Institute (HCI) serve as part of the Cancer Moonshot initiative. HCI CEO Mary Beckerle, who serves as a leading researcher on the initiative’s Blue Ribbon Panel, will be introducing Biden at the keynote address on Dec. 13. The focus of the event will be on personal development and perseverance. However, the former Vice President has also spent much of his time since leaving the White House as a political activist. He has not made any reference as to whether or not he plans on running for the Democratic presidential nomination in 2020. The 76-year-old has said that he expects to make an official decision early next year. The event is the most recent in a series of opportunities for students to engage with national figures. For, “Promise Me, Dad,” MUSE will also be hosting a number of lunchtime lectures, book discussion groups and other activities targeted at undergraduate students. A thousand free copies of former Vice President Biden’s book will be available for students starting Dec. 7 at the MUSE Project’s office in the Sill Center. The event is free for all students, and tickets will be available starting Dec. 4 at the Kingsbury Hall ticket office. A brief 15-minute Q&A session will follow the keynote address, and guests may submit questions prior to the event here. Questions must be submitted by Dec. 7.